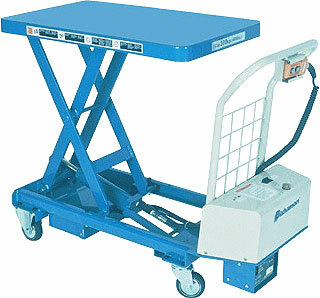 Southworth's Powered Dandy Lifts lift and lower at the touch of a button, providing the ultimate in ergonomics and convenience. 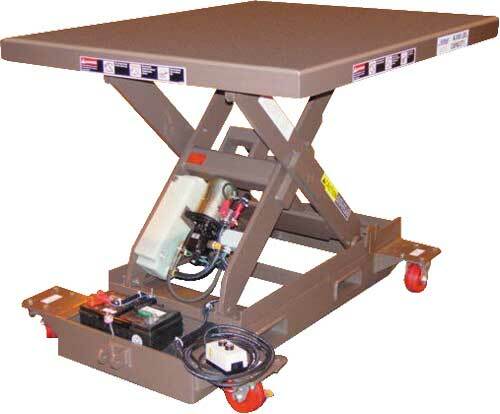 They are clean, quiet, user-friendly, and ideal for applications in high-tech, industry, retail, and even office environments. 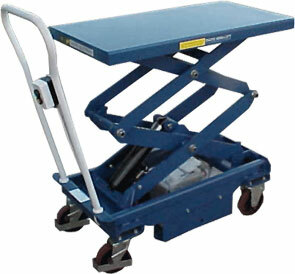 Heavy duty powered lift tables to transport and elevate your heaviest loads. 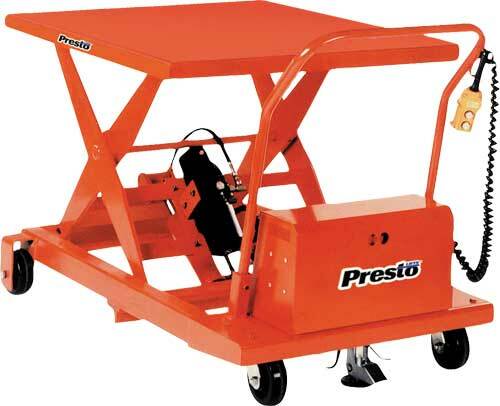 A heavy duty 12V DC powered unit with deep cycle battery and an on-board battery charger is standard. 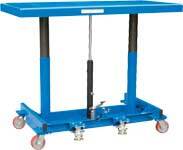 The MobiLift design allows workers to easily move and position loads to a convenient working height. 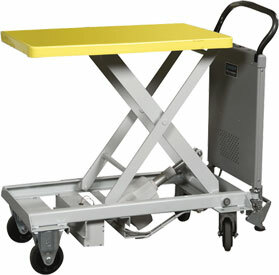 By minimizing undesirable lifting, reaching and stretching, MobiLifts increase productivity and decrease workplace injuries. 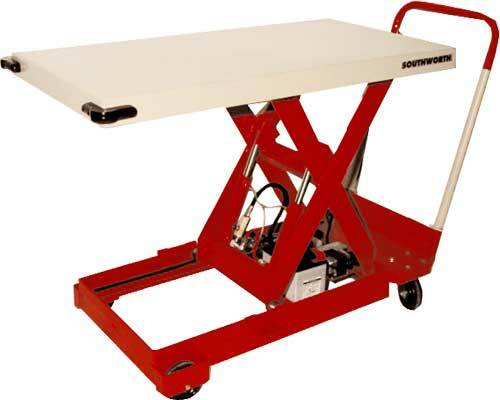 Packed with all the features of Southworth's stationary lifts, The Backsaver Lite Portables feature a small footprint along with four easy rolling 5" phenolic casters for unmatched maneuverability. 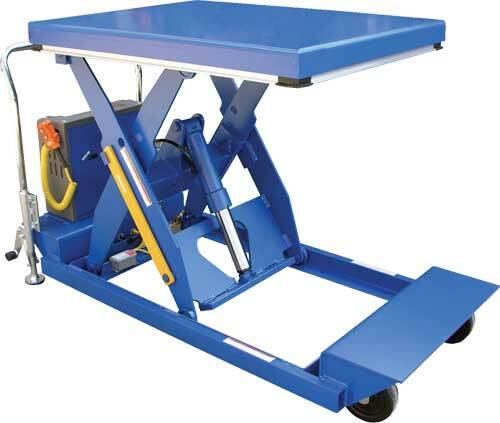 Completely self-contained and battery powered, these lifts are designed to be safe, reliable, cost-effective solutions for applications requiring one hydraulic scissors table be shared among multiple work stations.